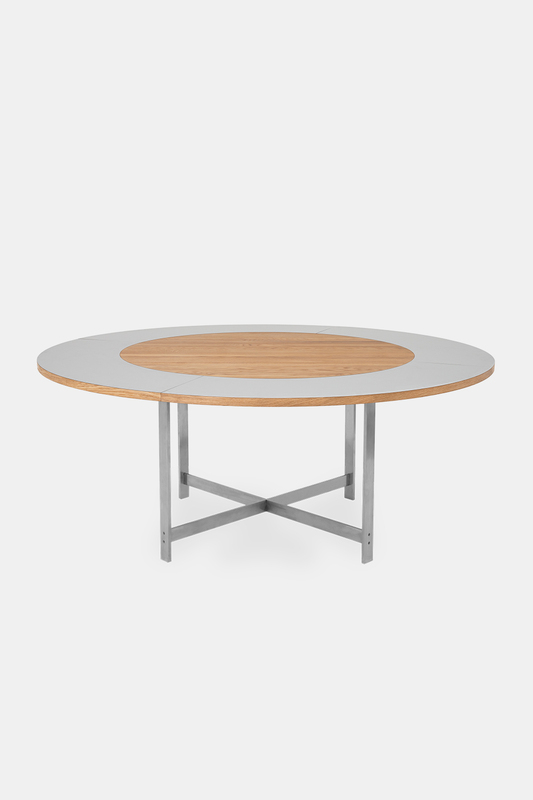 In 1962 Jørgen Høj designed this round table with extension panels in the shape of a ring. 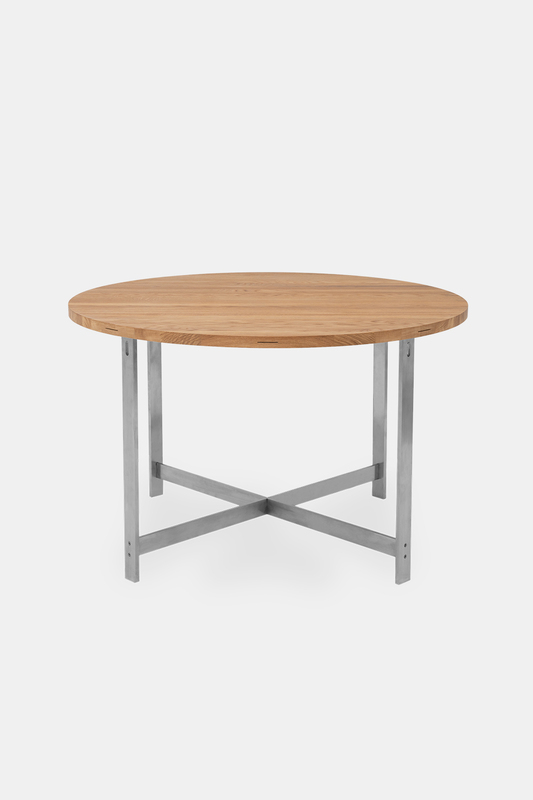 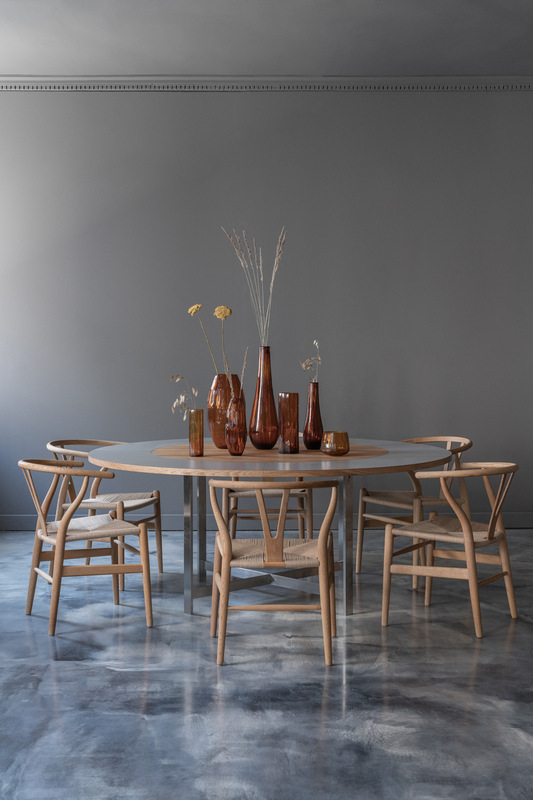 One of the main features about this table is the extension ring, providing the solution for the challenge of extending a round table. These panels are made in colored formica, and are in a very unique and clever way assembled as a ring around the table top using metal coins to hold the ring in place. 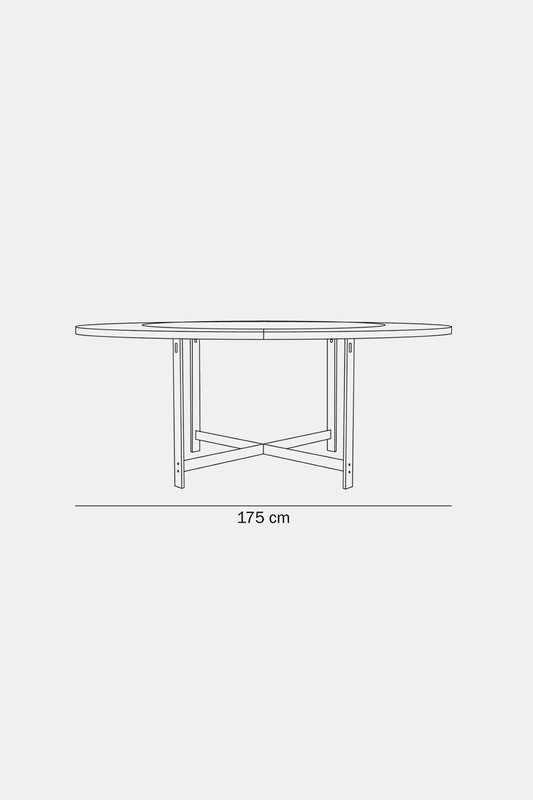 Later Poul Kjærholm got the same kind of idea for his PK54 table, which has become an icon of the Danish design history. 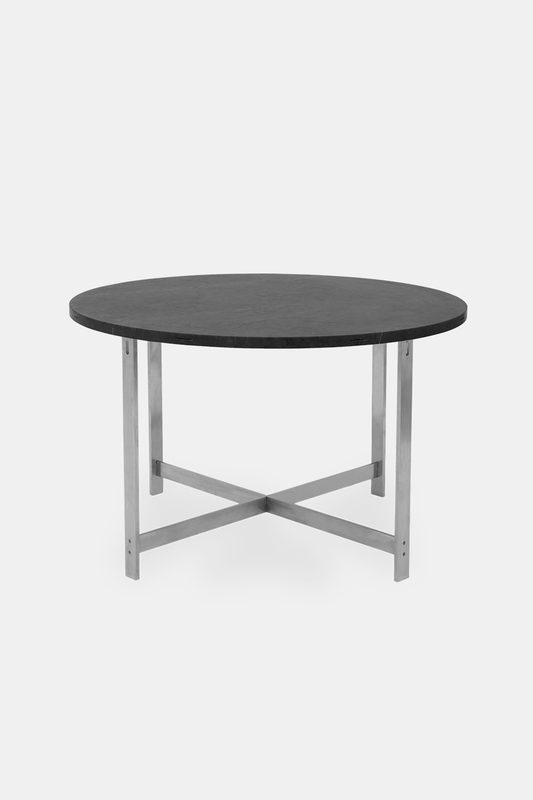 Without compromising the original design, Klassik Studio has implemented a few modern materials to this table. 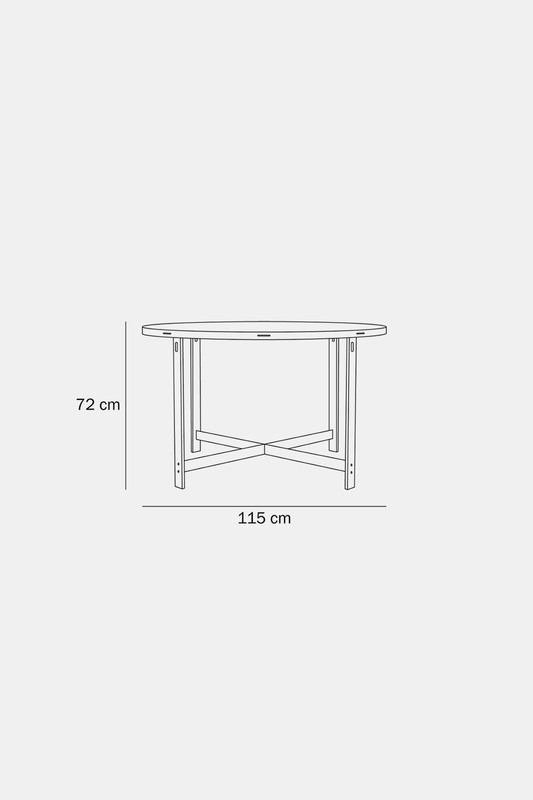 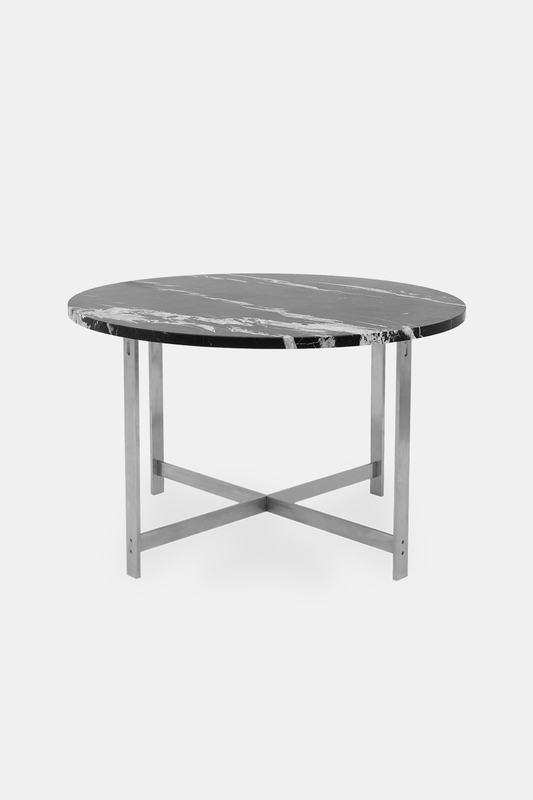 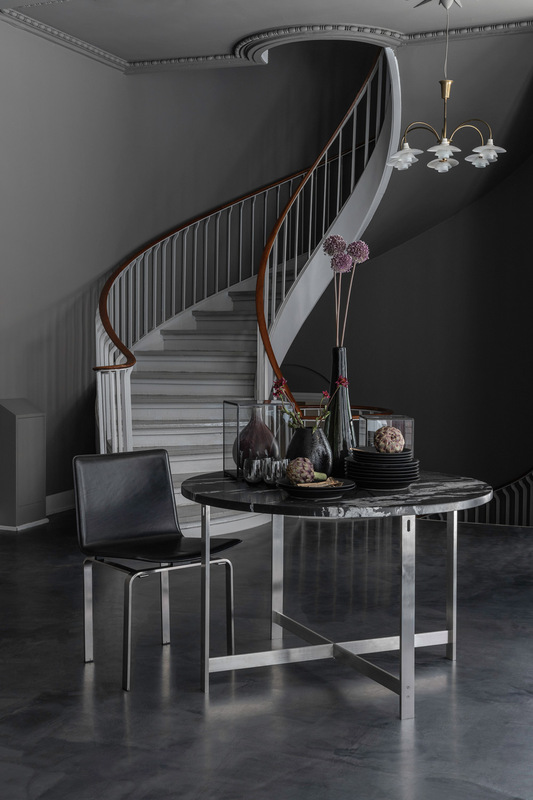 Today it is possible to order the JH Dining Table with different marble tops.